a pipe dream. Until now. eureQa is cloud-based technology that automates B2B and B2C eCommerce testing without programming. 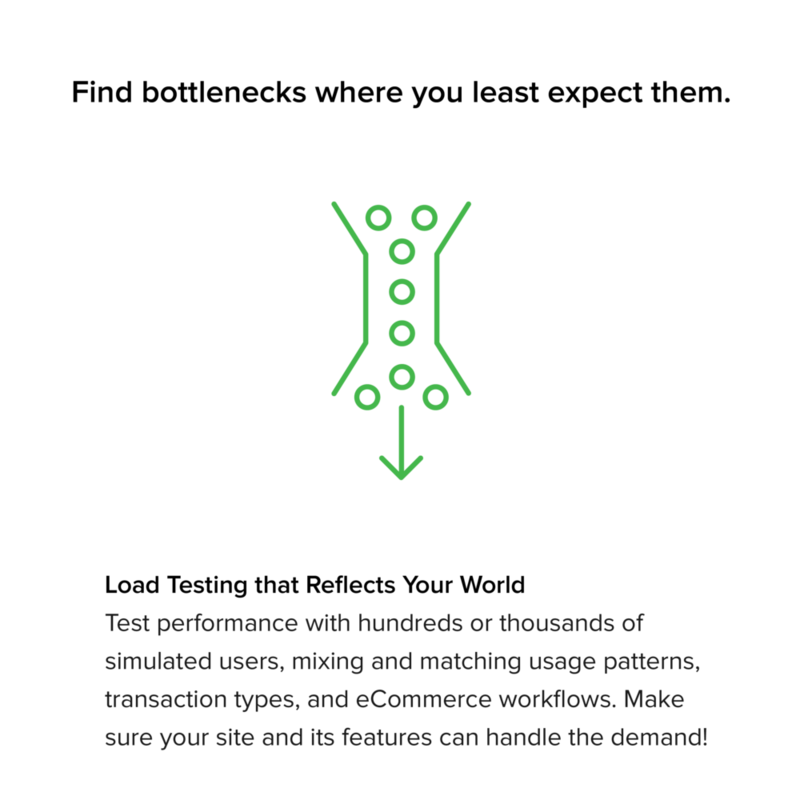 It’s automated testing the way it should be: fast, efficient, and complete. Put the cloud to work for testing. Run multiple tests simultaneously, leveraging virtually unlimited resources in the cloud. Find and fix errors 75% faster. Test thoroughly – all the functions and options that matter to you and your customers. Get to market faster, and roll out new features and promotions with confidence. Stop driving customers away —complete the sale! Increase Revenue by 15%. The average cart abandonment rate is more than 67%, of which 22% is due to website errors. By identifying and addressing those errors before they reach your customers, you can capture thousands or millions of dollars in additional revenue annually. e-Commerce. Download our guide for FREE!